The Lady Anne is the second book in the Above All Others series about the life of Anne Boleyn by Gemma Lawrence. The first book, La Petite Boulain, which I also reviewed, concerns the early years of Anne’s life, beginning with her happy childhood at Hever Castle in Kent and her education in the courts of France. This volume concerns Anne’s life and loves from her return home to when she falls in love with Henry VIII. When Anne returns to England on the orders of her father, she is scheduled to become a lady-in-waiting to Queen Katherine, wife of Henry VIII. During her first days at her family home at Hever, acclimatizing to a land she hardly knows, she meets Thomas Wyatt, a neighbor whom she played with as a child. Thomas is an accomplished poet and a close friend of King Henry and falls in love with the talented, accomplished and stylish Anne. However, he is married, and Anne rejects him, wanting to be his friend, but the rejection is taken badly and it shapes some aspects of her life at court. At court she meets the young Henry Percy, with whom she falls in love, projecting onto him some of the innocence she still feels. Their intended engagement is thwarted, and from there the inevitable unwinds when Henry notices her and becomes besotted. As with the first book, I liked the exceptional historical detail, from the food to the clothing to courtly romance, and the minutiae of life in that age – even to the way members of court and others smelled. Courtiers bathed more than most, but the fact the Queen often wore a hair shirt and how that led to her musky and repulsive odor was something new that wrinkled my nose! The politics of Henry’s royal courts, which defined everyone’s life and fate, is laid out in detail in terms of how it affected Anne and her family. I also found that more than with La Petite Boulain, Anne becomes a rounded character, petty and venal, but also thoughtful and caring. The multiple sides of her personality made her real – not always likeable, but very human. 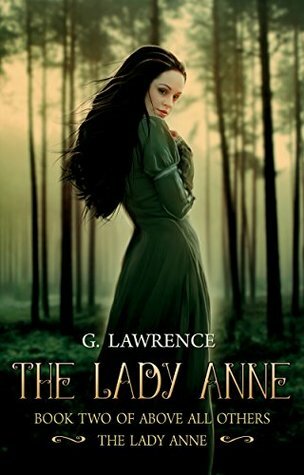 Above all, The Lady Anne is a love story, one that is hard to ignore. As the attraction between Henry and Anne grows, this reader found herself shaking her head at Anne’s determination to guard her honor and not become the King’s mistress, as her sister had been, worrying at what Henry would do in response to her audaciousness. Even though I knew how it would turn out. Such is the power of the author’s writing. The Lady Anne is heavy in exposition, and particularly noticeable are the dialogue dumps – conversation from one side that last a page or more. There are also repetitions of facts and ideas. I will freely admit I skipped over the repetitions and skimmed the overlong conversations. Nevertheless, the story has a fascination, especially so for this Tudor fan, that holds one’s attention. I was immersed in Anne’s life more than with the first volume, and I look forward to reading the third. 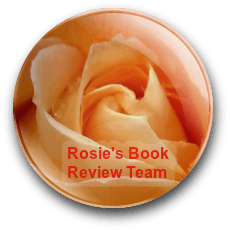 I purchased this book and reviewed it as a member of Rosie’s Book Review Team.